Is Michael Maguire set to return to the NRL at the Tigers? AFTER a shock development that saw Brisbane coach Wayne Bennett commit to Souths in 2020 and Rabbitohs mentor Anthony Seibold tipped to take the reins at the Broncos, the NRL coaching ranks are set for even more upheaval. 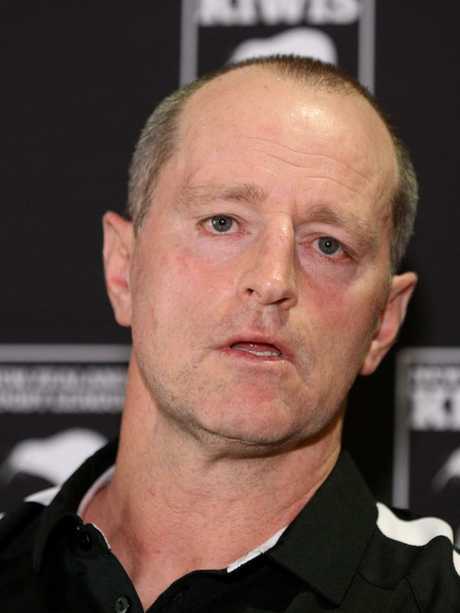 According to a report by NRL.com, Wests Tigers have agreed to terms with Souths premiership-winning mentor Michael Maguire to join the club in 2019, leaving the door open for Ivan Cleary to join Penrith two years ahead of schedule. The report claims the Tigers are finalising Cleary's release before making Maguire's signing official, and also says Penrith will likely announce Cleary's imminent arrival "in the coming days". The Tigers have only ever held any real interest in Bennett and Maguire, with chief executive Justin Pascoe determined to deliver a credentialed replacement if he is to release Cleary to Penrith to coach his son Nathan. 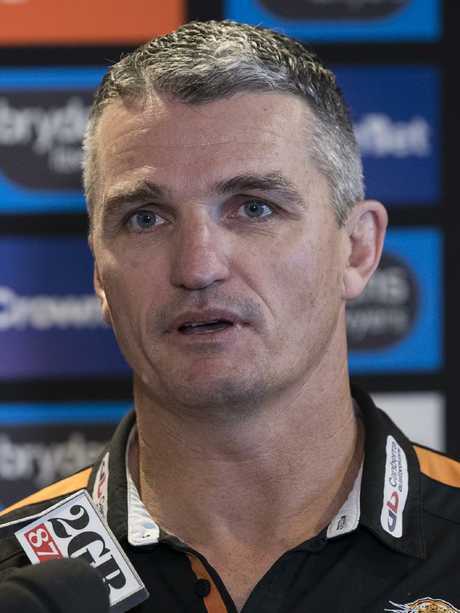 After the Panthers sacked Anthony Griffin a month out from the finals this year Cleary was widely tipped to return to his former club as the replacement coach in 2019 but the Tigers voiced their determination to keep him as he committed to serving out his contract with the joint-venture club until the end of 2021. Cleary has made no secret of his desire to one day coach his son and after Nathan signed a long-term deal to remain at the foot of the mountains until at least the end of 2023 there were reports the Panthers had offered Ivan a three-year contract that would come into effect from 2021. But if the Tigers snap up Maguire, who led Souths to the premiership in 2014, Cleary could head to Sydney's west two years earlier than expected. A Cleary family reunion could happen sooner than expected. Maguire is keen on another NRL gig. 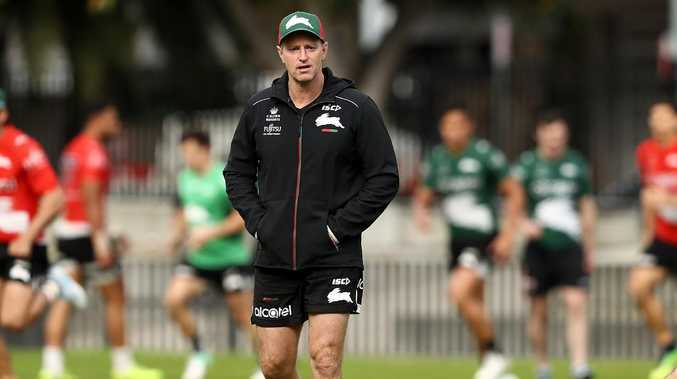 Maguire had firmed in the past week for the Tigers job even before the news of Bennett joining the Rabbitohs, and reports emerged on Thursday evening the Kiwis coach had agreed to a three-year deal with the club. Maguire is currently on tour of England with New Zealand but would likely be back in Sydney for November 15 when the majority of Tigers players return to pre-season training. If he was to join, Maguire would continue his job with the New Zealand national side after having declared earlier this month he wanted to get back into the NRL while also juggling a representative role. If Maguire joins Wests and Cleary heads back to Penrith, the latter will join Des Hasler in becoming the second coach to return to their old club for 2019 after the veteran playmaker linked back with Manly earlier this week. The dramatic shake-ups already unveiled before the report emerged of Maguire's likely arrival at Concord caused a stir among NRL commentators. 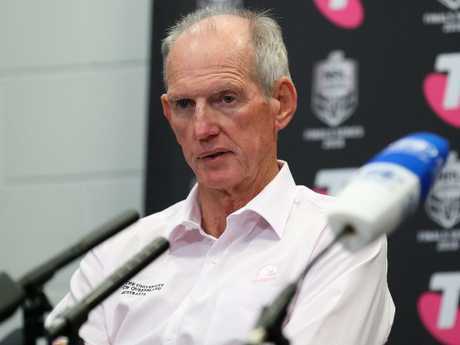 Wayne Bennett and Anthony Seibold's NRL swap between Brisbane and South Sydney may not happen until 2020, with the veteran coach insisting he'll remain at the Broncos next year. Bennett inked a two-year deal with Souths on Thursday afternoon, after the Rabbitohs' management lost patience waiting for Seibold to agree to an extension that has sat on the table for four months. Seibold is expected to be officially unveiled as the next Broncos coach next week, with the Brisbane board likely to rubber stamp his appointment at Tuesday's scheduled meeting after an impressive rookie season at the Rabbitohs. 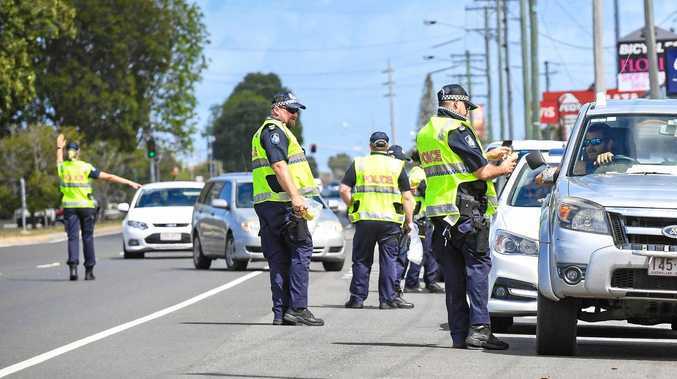 It had been expected that the pair would take up their new roles with immediate effect, but Bennett said he had no intention of leaving Red Hill until 2020. However, the 68-year-old conceded that the Broncos powerbrokers may have other ideas and want him out of the door immediately. "I'm staying at the Broncos (for 2019)," Bennett told the Courier Mail from the UK, where he is coaching the England rugby league team. "I'm not interested in a straight swap. "At no stage have I discussed a swap with Anthony Seibold with South Sydney. "They knew I wasn't available for 2019, so that's why I have signed with Souths for 2020 and beyond. "As far as I'm concerned, I'm at the Broncos in 2019 and Seibold will be at South Sydney. "Whether the Broncos make any moves, I don't know. "But I have always been committed to Brisbane for 2019. Until I'm told differently I will continue coaching the Broncos." Time has been called on Bennett’s stint with the Broncos. As of Thursday afternoon, the Rabbitohs were still indicating Bennett wouldn't arrive for another 12 months. "We're looking forward to Wayne becoming a Rabbitoh in 12 months' time and we wish him the best of luck with the England team in their current Test series with the Kiwis," Rabbitohs head of football Shane Richardson said in a club statement. However, not everyone is convinced the swap will be put on ice for another 12 months. Some rugby league reporters wouldn't rule out Bennett and Seibold trading places in time for the 2019 season. Bennett has long been aware he would not be retained by the Broncos beyond the end of 2019, and believed to have messaged players earlier this month to inform them he'd still be there next year regardless. "Souths is one of the iconic clubs in the game," Bennett said in Thursday's statement. "I didn't think I would get this opportunity, but that opportunity has now come for 2020 and 2021. "I'm really grateful for the chance to be part of the club and I'm looking forward to being part of the Rabbitoh way."